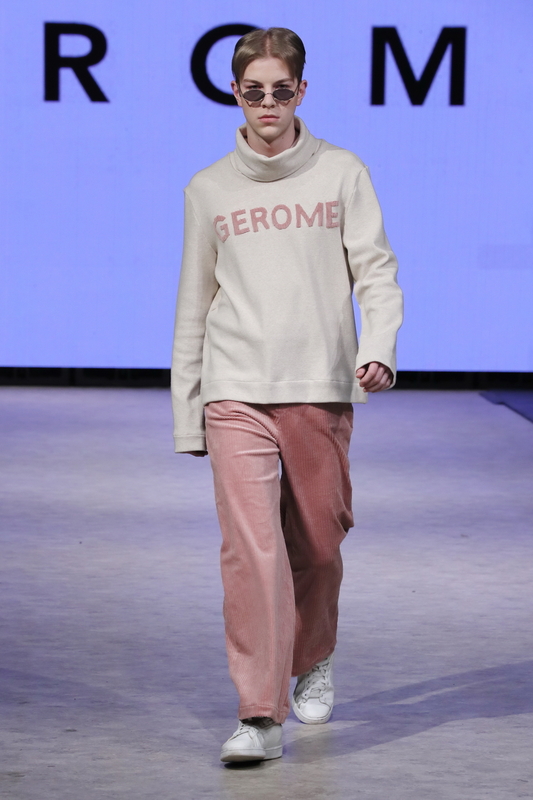 23-year-old designer GEROME closed day 4 at Vancouver Fashion Week and the crowd was in serious hype mode. 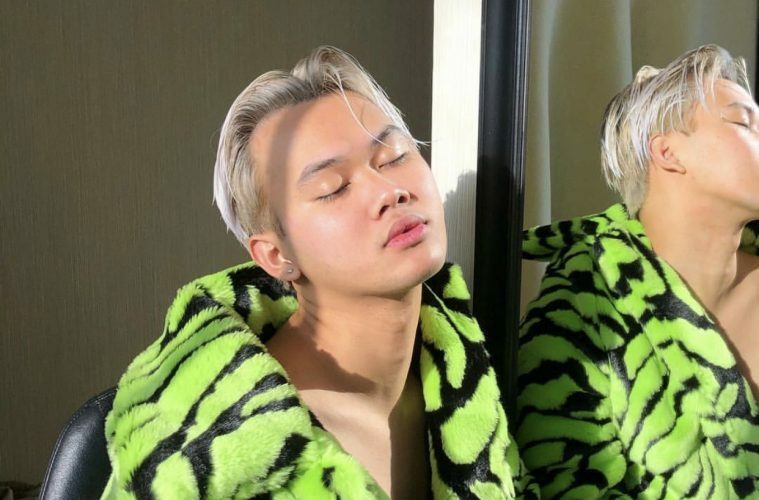 GEROME found his love for fashion in Vancouver 4 years ago getting his start as a model, but had a desire to explore the inner workings of the fashion industry, explaining his enrolment in fashion design at Blanche McDonald. 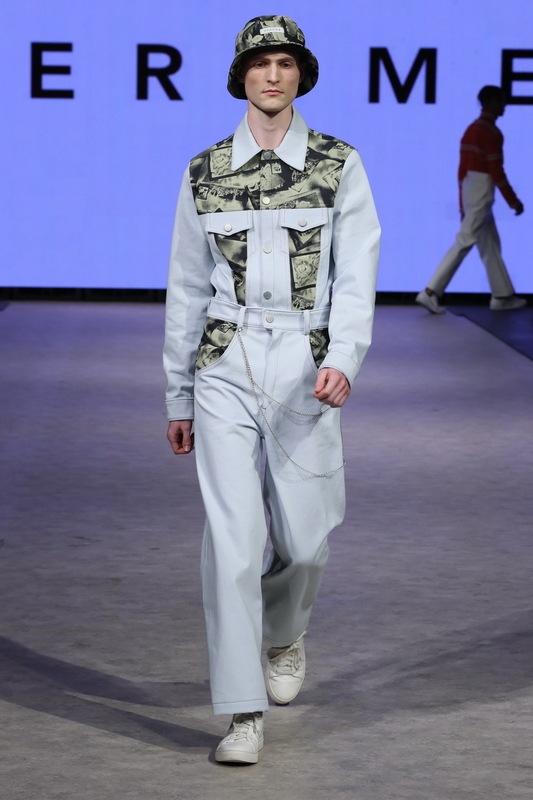 GEROME graduated just three months ago, making this his first fashion week runway show breakthrough — defining his beginning moments as a new designer in the big industry. This was GEROME’s moment to experience what it means to put together a runway collection from beginning to end. 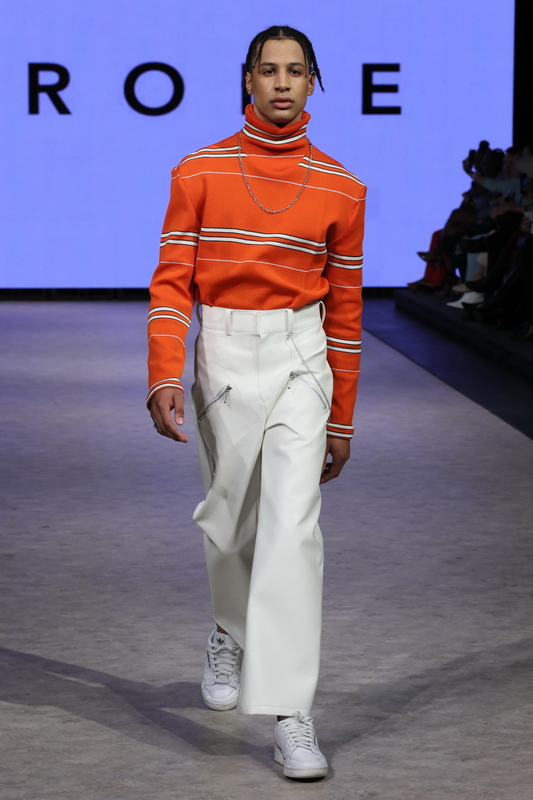 Seeing his creative vision come to life not only let us know that he has a special eye for niche streetwear, but also gave us a lot to look forward to from this young designer in his coming years. GEROME directly after his first Vancouver Fashion Week show. 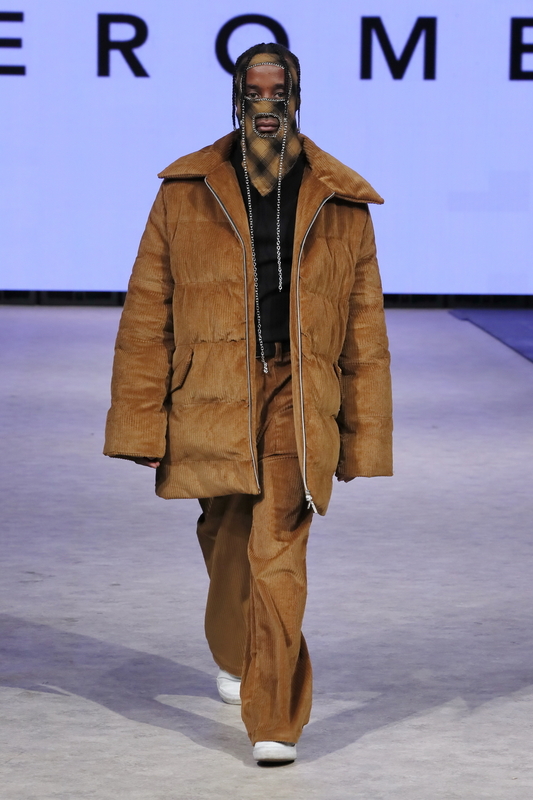 The show emulated streetwear with luxurious textures, animal print, and other elements that bring simply structured pieces to life. 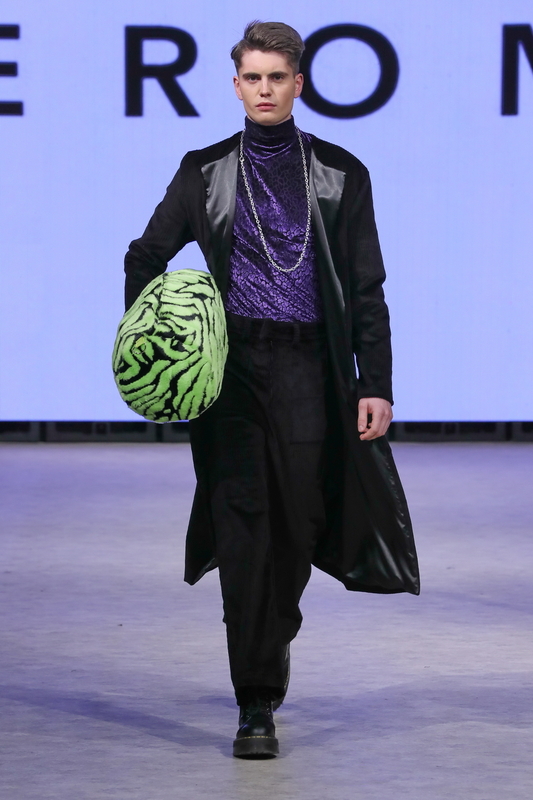 The models took the runway as their moment to add the personality that the clothing deserved. 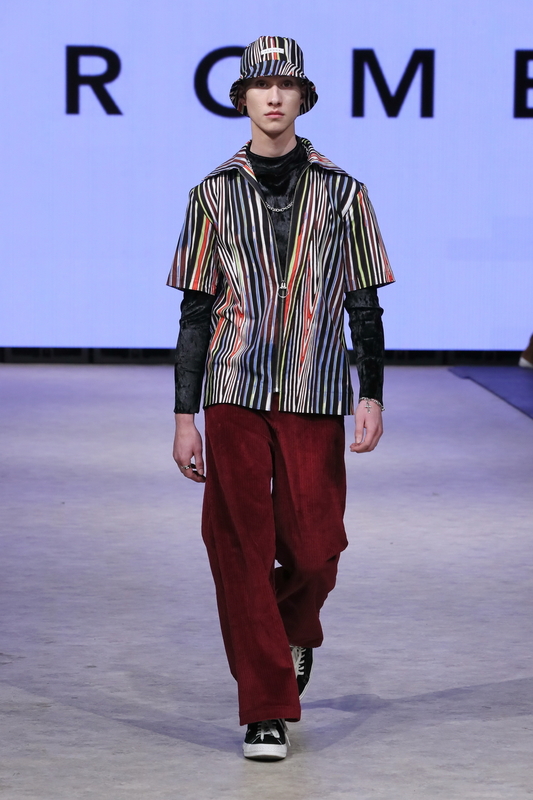 Keeping the energy high, each look transcended a youthful approach to ready-to-wear clothing. 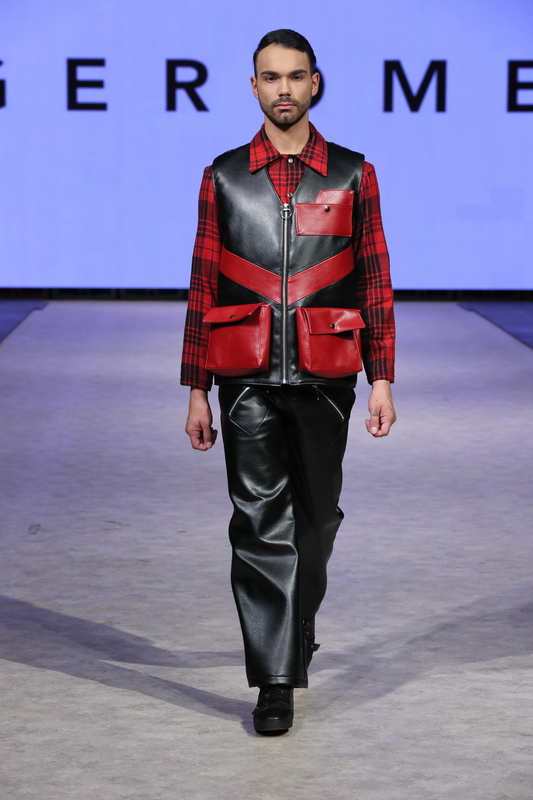 This is seen in the contrast of the pink corduroy pants with a menswear look, or the leather-vest 2-piece paired with a relaxed flannel. I made my way to Gerome on the runway after the show through the beaming crowd of friends, family, models and show attendees. What was the inspiration behind this collection? I know it’s cliche, but the people want to know! GEROME: Haha. It’s okay I know. Well steering away from my graduate collection which was actually a bit sad because it was about breast cancer, I decided to go 90’s because I’m a 90’s baby. So I went with colours, hip hop, toys, and it all really worked out. 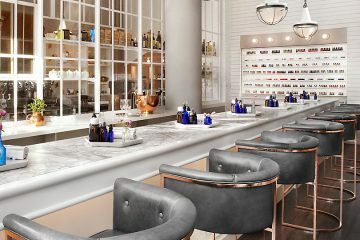 Being a recent graduate, do you now believe formal education is necessary for an aspiring designer? GEROME: I was thinking of doing my bachelor’s degree in New York at Parsons, but I don’t think it is completely necessary. It really is all about the experience, doing a couple of internships, sewing a lot and to just keep practicing. What would you say the hardest part is of being a designer? GEROME: I feel so lucky to do what I do — especially right out of school, so it’s hard for me to say. If I had to choose, I’d probably say its sometimes coming up with the winning idea. At times it will come to me in the middle of the night and you have to seize the moment. Other times, it’s not so easy and I must look harder for inspiration. Any advice for up and coming designers who are looking to have collection presented at fashion week? GEROME: I’d love to go off on a tangent but I really do think the formula is fairly simple: Take your time. Don’t rush into things and get lots of sleep. We tend to stay up late creating. Keep up to date with what GEROME has coming out next. Take a look at our Vancouver Fashion Week street style gallery. For the latest in fashion and upcoming designers, follow us @HOLRMagazine.